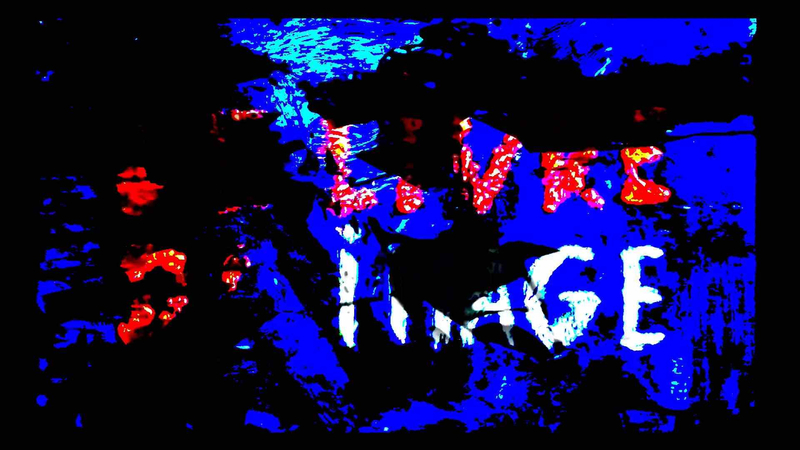 The cinema legend that is Jean-Luc Godard returns to UK screens for one night only (2 December) with The Image Book, a visual palimpsest of ideas and a muttering meditation on the world as the octogenarian finds it today. As the old saying goes, there’s a lot that’s new and interesting in Godard’s The Image Book. Unfortunately, what is new isn’t interesting and what’s interesting ain’t new. For years a TV show has run on RAI 3 in Italy called Blob. The show splices together raw footage of current events with tacky game shows, old black and white movies. The wit is to find the connection, the counterpoint that reveals a truth about both things, or provokes the viewer with a jarring contrast. It’s been going since 1989 and generally last about fifteen minutes. Godard’s film last almost an hour and a half. Split into chapters, each honing in on a theme: remakes, the law, the Arab world. There are splices of music with a quote-athon from philosophers you might or might not recognise – they’re not identified. Footage from old movies play – a western, a tops and tails dance film, The Lady from Shanghai, Young Lincoln and Citizen Kane to name a very few – or news clips, or raw footage of terrorist atrocities, or state-backed atrocities, executions and what have you. There’s a whole section that seems to be about trains: another smattering of clips about the sea and then we’re off to the Middle East to learn about Arab culture. Everything seems designed to disturb or perhaps infuriate the viewer. Music plays just long enough for you to begin to like it, then Jean-Luc changes station. Likewise, clips are cut just as someone finished the first word of a sentence. We are left hanging. Images have the brightness and saturation adjusted like the director’s just discovered Instagram. The ratio jolts around also. There are repetitions and occasional whimsy and some sardonic humour. The audience needs to be shocked out of our passivity, and Godard reasserts his revolutionary commitment: his despair at a world which is destroyed by rich and poor in different ways. But this finger-wagging has been going on ever since Le Chinoise in 1967, to diminishing returns. For this reviewer and at the danger of accusations of philistinism, The Image Book provoked very little in me beyond irritation and a sleepiness which Godard is careful to guard against with strategically placed explosions on the soundtrack every five minutes or so. There are many ideas here and others have found lots to admire. Unwilling or unable to attend the premiere, Godard did sort of turn up for the press conference, where he answered questions via Facetime on an iPhone. This absence/presence of the director facilitated by a device which is the ruling icon of techno-capitalism, and could itself be described as an ‘image book’, seemed more powerful and meaningful than the film he’d actually made.